Time is running out! 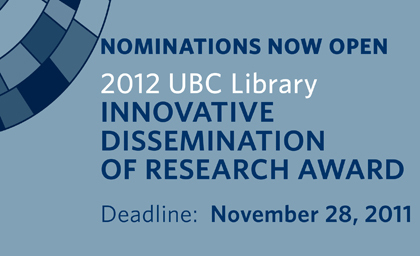 So, don’t forget to send in your faculty, staff, or student nomination for the 2012 UBC Library Innovative Dissemination of Research Award. Deadline for Applications: Monday, November 28, 2011, 5 p.m.